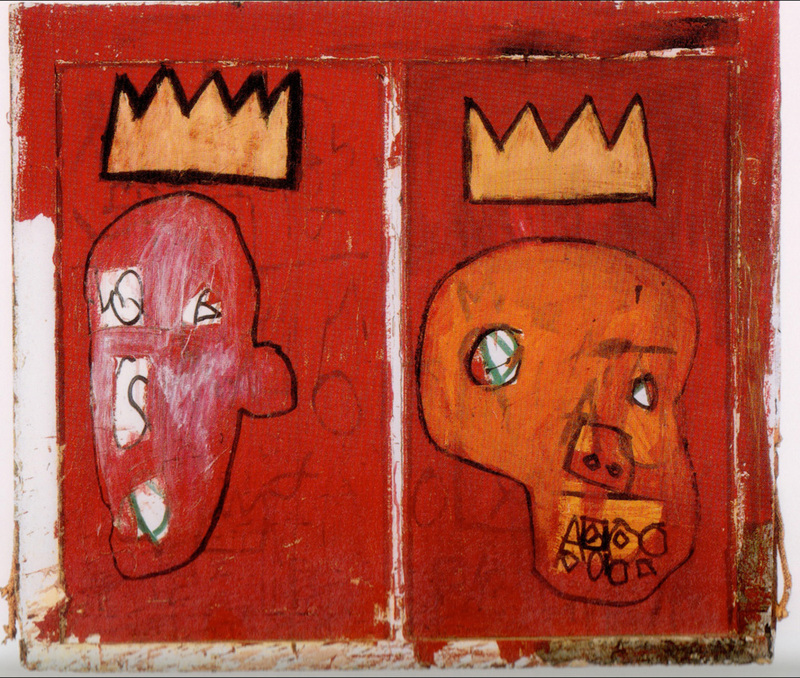 A deleted scene in Season 2 would have revealed a deep family history with Basquiat's "Red Kings." Throughout Season 2 of Marvel’s Luke Cage on Netflix, you’ll hear from Mariah Dillard’s minions, including Shades (Theo Rossi), advising her to “flip the Basquiat.” By selling a priceless, actual painting owned by her family — “Red Kings,” “”painted in 1981 by neo-expressionist Jean-Michel Basquiat — Mariah could solve all her financial woes. But Mariah refuses. In an interview with Inverse, showrunner Cheo Hodari Coker explains why. Minor spoilers for Luke Cage Season 2 ahead. The characters of Marvel are fictional, but Jean-Michel Basquiat was real. Born in 1960 before dying at the age of 27, Basquiat was a celebrated African-American artist from New York who imbued his works with dichotomies: rich versus poor, integration versus segregation, internal versus external strife. A deleted scene featuring Mariah and a new Harlem’s Paradise hostess, Stephanie, would have revealed the Stokes’ personal history with the painting. Jean-Michel Basquiat's "Two Kings," which has an intimate history with the Stokes family. Coker didn’t want to change Cottonmouth’s now-famous “Everybody wants to be the king” speech. After some brainstorming, he arrived at Barron Claiborne’s “King of New York,” depicting rapper Biggie Smalls adorned with a crown taken three days before his death.